Richard Burton; Ava Gardner; Deborah Kerr; Sue Lyon; James Ward. New. Run time: 125 mins. Language: English. Sue Lyon, Richard Burton, Deborah Kerr, Ava Gardner. Fine. 2006 Run time: 118. Ships Same or Next business day from NJ, USA with Tracking. Artwork, case and disc(s) in like new condition; 30-Day Satisfaction Guarantee. Sue Lyon, Richard Burton, Deborah Kerr, Ava Gardner. Good. 2006 Run time: 118. Free upgrade to 1st class shipping on all domestic orders under 13OZ. Mary Boylan, Cyril Delevanti, Grayson Hall, Skip Ward, Sue Lyon, Deborah Kerr, Ava Gardner, Richard Burton. Good. 2006 Run time: 118. Connecting viewers with great movies since 1972. All used discs are inspected and guaranteed. Used discs may not include digital copies. Customer service is our top priority! Good. Complete. Includes original box and VHS tape. Free upgrade to first class shipping. Box has wear from age. 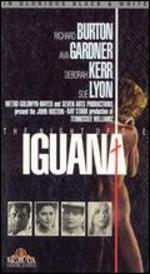 John Houston directed this 1964 film adaptation of Tennessee Williams' 1961 play, "The Night of the Iguana". 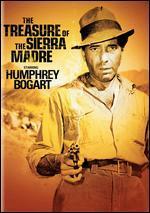 The film featured an all-star cast which included Richard Burton as the Revered and shabby tour guide leader Lawrence Shannon, Ava Gardner as Maxine Faulk, lusty, recently widowed and the owner of a run-down hotel near the jungles of Puerto Barrio in Mexico, Deborah Kerr, as the 40ish artistic New England spinster Hannah Jelkes, and Sue Lyon as Charlotte, an underage spitfire with whom Reverend Shannon has a brief affair. The film was shot in black and white, a controversial decision which allowed emphasis on the characters and the story. The scenery remains lavish. Benjamin Fraenkel composed the musical score, and it enhances the drama. The film is set primarily at the widow Faulk's hotel where Shannon brings a group of 11 women teachers from a small Baptist women's college in Texas. Shannon suffers from alcoholism, frequent nervous breakdowns, and lechery with young women. The woman who leads the tour group, a suppressed lesbian named Mrs. Fellowes, is trying to get Shannon fired and punished for his relationship with Charlotte. Tensions increase because Maxine is a long-time friend of Shannon. Then two other guests arrive, Hannah Jelkes and her 97 year old grandfather, Nonno, who travels as "the oldest living poet." The lonely, lost and isolated characters, primarily Shannon and Hannah try to make a connection with each other during a storm-filled night. Each of the characters in the play, Shannon, Hannah, Maxime, and Nonno, bear their own grief. The characters are all complex and the acting well-realized. 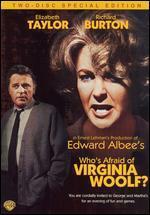 The film offers an excellent adaptation of Williams' play. The primary change was in the ending where Huston substituted a moderately positive conclusion for the bleaker version of the play. Williams was unhappy with the film's revised ending. The film also removes the play's allusions to WW II and eliminates a group of minor characters, a German family with strong ties to the Third Reich, that appear in the play. 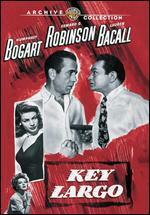 Although he did not write the screenplay, Huston asked Williams to write a specific new scene for the movie. Williams did so. The film also has several episodes that would be difficult to stage in live theater, including a mad, dangerous bus ride with Shannon at the wheel, and a fight at a local cantina between the regular bus driver and two locals. Film and live theater are separate mediums and each should be approached on its own terms. The film captures the lyricism, vision, and complexity of the play that often, if questionably, is regarded as Williams' last artistic success. 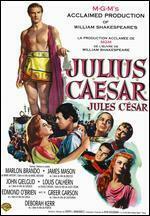 I reread the play with better visualization and understanding after seeing the film. I watched the film as part of a long-term project inspired by John Lahr's biography, "Tennessee Williams: Mad Pilgrimage of the Flesh" (2014) to increase my understanding of Williams', a writer I have long admired. 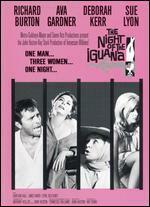 This film of "The Night of the Iguana" is worth getting to know in its own right but will be of especial interest to those interested in the works of Tennessee Williams. VERY GOOD. HAPPY TO HAVE THIS IN MY COLLECTION. WONDERFUL DIRECTION OF A GREAT CAST.